What Is The Best Stage Lighting Console For You? The lighting in a church not only plays a huge role in how well congregants and staff can see during a Sunday service but also how people feel and interact with the service. While in the past, using lighting as a technique to make people feel more involved in the service or to provide visual impact at an important time during the sermon was basically unheard of, this is becoming more and more popular, and churches need to invest in a great lighting console that will allow them to monitor and control their lighting for the best control and impact. More than simply turning on lights in the sanctuary before service, Sunday lighting now consists of using transition lighting during the service, lowering the lights to produce a certain mood, and even using scenic backgrounds and videos during services. A great lighting console is imperative for any church who is looking to go beyond simply turning on and off the lights for services and who wants to use light to impact how worshippers feel while they are in the church. By investing in a great lighting console, a church can open themselves up to incredible possibilities and may even be able to reach more people. What Are the Important Considerations When Buying Top Of The Line Lighting Console? Choosing a lighting console can be tricky, but if you are looking for the best overall console, then you will want to make sure to consider the following features so you can get the right one for you. Budget – the absolute first thing that you need to determine when shopping for a new lighting console is how much money you are willing and able to spend. It’s really easy to get caught up in the excitement of buying new equipment and accidentally overspend. 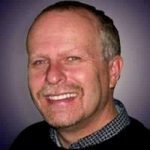 Software – the software that you use to run your new lighting console needs to be easy enough to understand and to control, or you are likely to get really frustrated trying to manage your equipment. The Martin M-Play uses software that is very user-friendly, making it a great option for any beginner. Faders – it’s important to consider how many faders your new lighting console has. These are sliders that are used to fade fixtures, dimmers, or groups of lights. Using a fader is one of the fastest and easiest ways to adjust the lighting in your sanctuary and to start getting comfortable using a lighting console. One of the best features of the Martin M-Play is that it can be used on its own or with other Martin equipment if you are looking for a more powerful setup. This means that as you feel more comfortable controlling your lighting that you will be able to add in more controls. Additionally, this is an incredibly versatile piece of equipment. Users can easily set their function keys to various features, allowing them instant control over lighting without having to suffer a delay. While this may not be a big deal during regular Sunday services, it can make a huge difference in plays and special events. 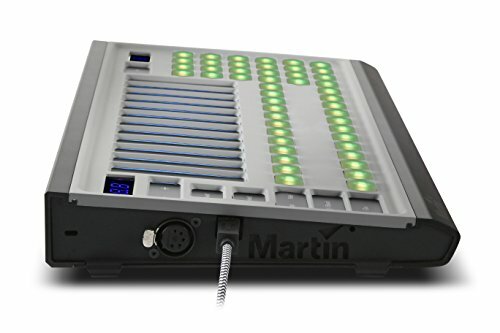 The DMX port on the Martin M-Play is expandable and allows you to access and use up to 65,000 channels. This is incredibly impressive, and even more so when used with the powerful software. Users won’t ever have to worry about feeling limited when using the Martin M-Play, as it can easily be expanded to meet the needs of a larger church. The rugged aluminum design of the Martin M-Play prevents it from being damaged, which is great for when it’s moved from one location to another. There are some wonderful features that make the Martin M-Play a great option for most any church. One thing that makes this a great option for larger churches or churches who are really interested in controlling their lighting is that it comes with an impressive 12 faders. Additionally, the Martin M-Play can easily port with a Martin M-Touch. This means that the M-Play will quickly connect to this other equipment, allowing them to work together to control your lighting. The Martin M-Play also features an innovative control surface with 48 pads. These are all velocity controlled and can be used to access function keys, as well as paybacks. 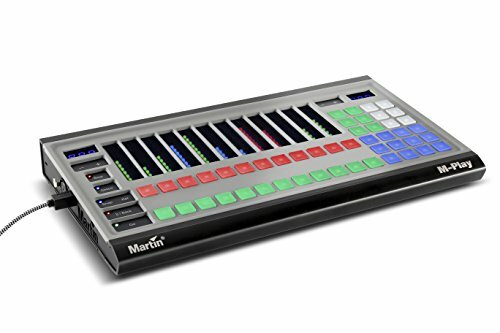 Finally, the Martin M-Play has LED visual feedback, so users always know what they are doing and what pads have been selected, making using this console fast and easy. One problem with the Martin M-Play is that it does have a higher price tag than other available options, which can put it out of budget for some churches. Another con is that the Martin M-Play may be a little advanced for some users, which can be frustrating. What Are the Important Considerations When Buying A Mid-Range Lighting Console? 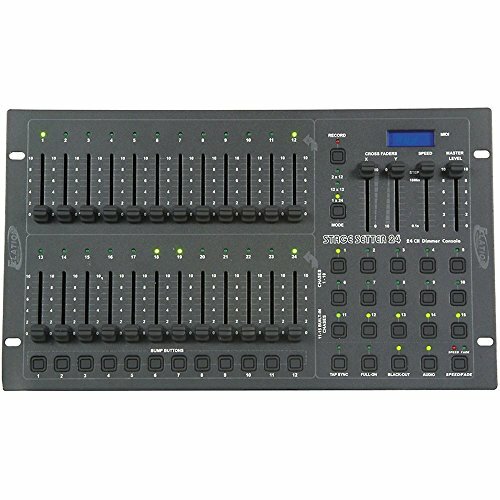 Looking for a lighting console that is the best bang for your buck is more difficult than simply choosing the first console that you find. Make sure you consider the following features when shopping. Power Supply – the power supply matters when you’re shopping for a lighting console, as you want to make sure that you can easily power it no matter where you are. It’s a good idea to consider if you are going to be near an AC power supply at all times or if you want a console that can be powered by battery, as well. 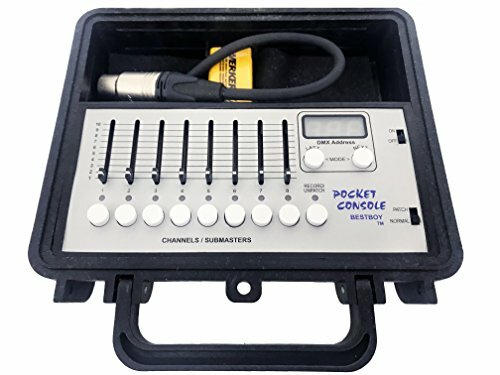 Portability – moving a lighting console from one location in your church to another can be difficult if you don’t choose one that is highly portable. Small size and lightweight design make the Best Boy 2 Pocket Console easy to move. Controls – it’s important that your new lighting console not only features the controls that you need to adjust the lighting in your church, but also that they are easy to use. Intuitive features make the lighting console accessible to more staff and church members, ensuring that the lighting for every service is perfect. Any church can benefit from using the Best Boy 2 Pocket Console. One of the main reasons why it is the best bang for your buck is because of how easily it can be packed up, transported, set up, and then used. It’s incredibly simple to prepare this lighting console and to connect it to your lights, which decreases the possibility of running into any problems when using it. Additionally, its small and compact size makes it ideal for use in most any situation, as it is not so large as to get in the way. 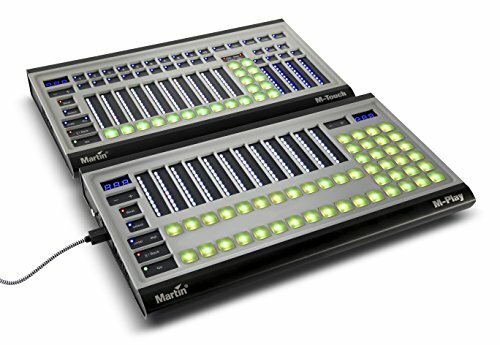 Thanks to the 512 DMX channels and the fact that this console can stand alone without needing to be connected to other equipment, it offers complete lighting control without any additional expense. Having access to that many channels is usually more than enough for most churches and is sure to help any user update the lighting. Additionally, the bright red numbers on the DMX address box are clear, large, and easy to read, ensuring that users don’t make mistakes. With a soft foam padding on the inside of the case, this lighting console is perfect for use on the go. There’s a lot to love about the Best Boy 2 Pocket Console. One of the main pros of this console is how portable it is. It is packed in a carrying case with a durable handle, which means that it can easily be packed up and moved out of the way when not in use. This lighting console additionally offers two power supply options. It can be plugged into an AC power supply or run off of a 9V battery. Having options means that users can set up this lighting console in outside areas, as well. 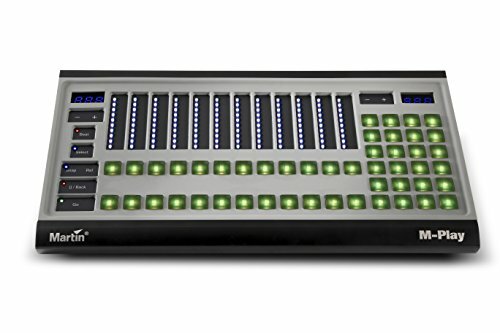 Additionally, the Best Boy 2 Pocket Console features eight faders, which allows users to easily control eight lighting setups at once. This is more than enough for the average church and is a great way to quickly improve and adjust lighting. Another pro of this lighting console is that each fader has a bump button. These allow for additional programming to speed up lighting changes. One disadvantage of the Best Boy 2 Pocket Console is that it doesn’t offer as many sliders or as much control as larger lighting consoles. Additionally, this lighting console isn’t quite as powerful as some larger options. What Are the Important Considerations When Buying A Budget Lighting Console For Your Church? Even when you’re shopping for a budget lighting console, you need to make sure that you look for one that is high quality and will offer you the control that you crave or you are likely to be disappointed by how it functions. Programmability – one of the most important things to consider when buying a lighting console, especially a budget option, is how programmable the equipment is. A console that is easily programmed is going to allow users a lot more control over lighting and will make it easy to create fun effects. Inputs – it’s also important to consider what inputs the console has, as these will allow users to trigger lighting changes based on audio or MIDI changes. This is perfect for the more advanced users who are looking to tie their lighting to their sound. Passcode Protection – some equipment comes with optional passcode protection. While this may not seem like a big deal, this is the best way to ensure that someone doesn’t change the lighting updates that you have made and will help to prevent your hard work from being ruined. Thanks to the 24 channels that this lighting console offers, it’s easy to choose from a variety of modes to achieve the best possible lighting. Additionally, the Elation Stage Setter-24 provides visual feedback in a seven-segment information display. This is great for any new user who may otherwise not know how they are doing or what settings they have chosen. Since the chases are all passcode protected, users don’t have to worry about another person coming in behind them and deleting or changing their chases, which is really important when preparing for a large event or play. There are separate fade and speed controls for the chase playback, which results in unique chases that are updated, fresh, and unique. Because users have complete control over designing their chases, this powerful lighting console is great for making advanced lighting shows. There are more than one dozen lighting displays that users can choose from, resulting in impressive lighting changes and shows with very little effort. The end result is a lighting display that will tie into the service and match the feel and sound of the music for a unique experience. The Elation Stage Setter-24 is full of great features. One of the main pros of this lighting console is that it has five built-in chases and 10 programmable chases, which makes it easy to create fun and exciting lighting effects that will really improve a church performance. Additionally, this lighting console can be programmed to have the lights change when the music changes. By connecting it via the MIDI or audio trigger inputs, it’s easy to make an interesting light show. 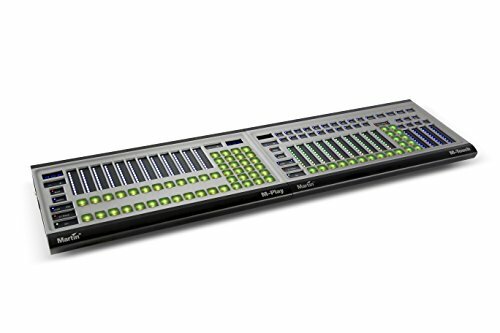 The Elation Stage Setter-24 has another benefit of having 12 faders, which is plenty for more churches and will allow users to control 12 different light setups in the church. Finally, at just eight pounds, this is a highly portable option, which means that it can easily be stored and locked away when not in use to keep it safe. Unfortunately, there are some drawbacks to the Elation Stage Setter-24. One of the most common problems is that it is simply too advanced for some people to easily use, which can be really frustrating. Another con of this lighting console is that the bump buttons tend to wear out really quickly, which means that the whole unit needs to be replaced. Any church looking for the best overall lighting console will want to consider the Martin M-Play. This powerful console offers complete control over lighting and is surprisingly easy to use, which is why it’s such a popular option with churches. Additionally, it is durable and designed to be used with other Martin equipment, providing users with even more control. 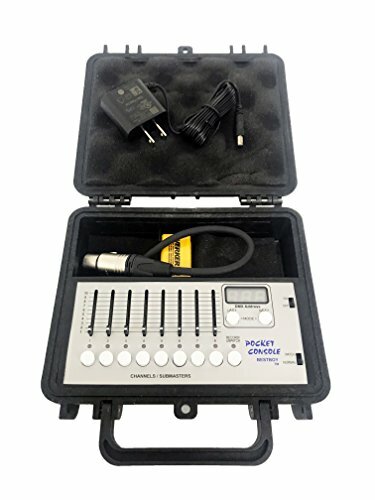 The Best Boy 2 Pocket Console DMX is hands down, the best bang for your buck lighting console available. While it is a little more expensive than some other options, the features that it provides and how durable it is more than makeup for the increase in price. Unlike other equipment that is prone to wearing out and needing replacement, this lighting console is built to last for years, making it a smart choice for a one-time purchase. Finally, the Elation Stage Setter-24 is the most powerful and best budget option on this list. It is loaded with incredible features that make it able to stand up to the competition, although it is much harder to learn how to use than the other options on this list.